Tleuzhan is a Ph.D. candidate at the Law Department of the European University Institute in Florence, expecting to obtain her doctoral degree in Fall 2018. She also holds LL.M in International Law (with distinction) from the University of Edinburgh and LL.B (with Honours) from Karaganda State University (Kazakhstan). Previously, Tleuzhan was a visiting fellow at the Max Planck Institute for Comparative Public Law and International Law in Heidelberg (2018) and at the GlobalTrust project held at the University of Tel Aviv (2014). Tleuzhan taught public international law and human rights law at the University of Passau and the University of Florence in 2015. In addition, she served as an assistant editor of the European Journal of International Law in 2014-2015 and interned at the UN Office of the High Commissioner for Human Rights in Geneva in 2014. Her awards include scholarships from the Kazakh Ministry of Education and the Italian Ministry of Foreign Affairs, as well as visiting research grants from the Max Planck Society and the European Research Council. Tleuzhan’s main research interests lie in the field of public international law, in particular, international institutional law, international legal theory and international human rights law. Her doctoral dissertation addresses individual responsibility of states for their voting behavior and other instances of participation in the decision-making process in international organizations. 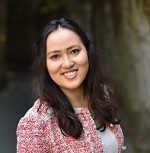 Tleuzhan’s post-doctoral project an NYU will build upon the core findings of her doctoral thesis and examine the value of legal argumentation in enhancing the legitimacy of decision-making process in international organizations.